The Developmental Disabilities Assistance and Bill of Rights Act (DD Act) is the highest priority in AUCD's public policy work. 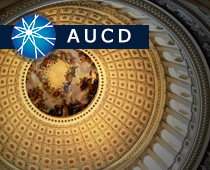 AUCD actively engages in the reauthorization of the DD Act and the administration of its programs through the Administration on Intellectual Developmental Disabilities (AIDD). The law is authorized every four years and regulations and policy guidelines are developed based on the statute. The DD Act provides authorization for the 67 University Centers for Excellence in Developmental Disabilities which comprise the base of the AUCD Network.